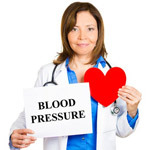 Considered the "silent killer," high blood pressure affects approximately one billion people worldwide, including one in three adults in the United States. From May 15 – 18, 2013, members of the medical community from across the globe gathered at the 28th Annual Scientific Meeting of the American Society of Hypertension (ASH) in San Francisco to discuss the epidemic. During the conference, more than 200 new studies about hypertension were shared, with the goal of increasing the understanding of hypertension and one day curing it altogether. Among the findings from the ASH meeting is research that suggests mobile phone calls may cause a rise in blood pressure; yoga may lower it; and despite the need to cut back on sodium to lower blood pressure, hypertensive individuals may have an increased desire for saltier foods. William B. White, MD, ASH President and 2013 Scientific Program Committee Chair adds, "The ASH meeting brings together the country's top scientists in clinical hypertension to give numerous state-of-the-art lectures on a wide variety of topics in hypertension and related clinical concerns." As of December 2012, 87% of American adults had a mobile phone[i]. According to a recent study from doctors G. Crippa; D. Zabzuni; A. Cassi; and E. Bravi of Guglielmo da Saliceto Hospital, talking on those mobile phones causes a significant rise in blood pressure. During a phone call, blood pressure readings jumped significantly from 121/77 to 129/82. Systolic blood pressure rise was less drastic in patients who were used to participating in more than 30 phone calls per day. While the reason behind this is not known, Dr. Crippa speculates two possible reasons: "The subset of patients who were more accustomed to phone use were younger, which could show that younger people are less prone to be disturbed by telephone intrusions. Another possibility is that people who make more than 30 calls per day may feel more reassured if the mobile phone is activated since they are not running the risk of missing an opportunity." Yoga calms the mind and works out the body, but now, a study on the effects of yoga on hypertension concluded that yoga can significantly lower blood pressure. The 24-week study, conducted by Debbie L. Cohen, MD; Anne Bowler, BA and Raymond R. Townsend, MD of the University of Pennsylvania, showed that people who practiced yoga 2 – 3 times per week saw their blood pressure decrease significantly: an average of three points for both systolic and diastolic blood pressure, from 133/80 to 130/77. Participants who only followed a controlled diet—and did not practice yoga—saw only a decrease of one point, from 134/83 to 132/82. A new study shows that hypertensive individuals actually prefer more salt in their food than do normotensive individuals. The study of 44 adults aged 73.5 +/- 7.0 years was conducted by a team at Sao Paolo University in Brazil. Initially, participants were given three pieces of bread with varying amounts of salt on each. In this tasting, 68% of hypertensive and 31% of normotensive patients (those with normal blood pressure levels) preferred the bread with the highest concentration of salt. Fifteen days later, the patients underwent an identical taste test—the only difference being that other seasonings had been added to the salted bread. In that case, only 14% of hypertensive and 0% of normotensive patients preferred the bread with the highest salt content. Not only did this show that hypertensive patients prefer a higher salt content, but that, across the board, use of other seasonings diminished the preference for salt. Healthy lifestyle behaviors are associated with a reduced risk of hypertension in adults—but a new study conducted by J. Fang, C. Ayala and F. Loustalot of the Centers for Disease Control (CDC) reveals that a primary care physician's (PCP) healthy lifestyle behaviors may be linked to his or her recommendations for hypertension prevention. The study looked at what percentage of physicians recommended one of six key healthy lifestyle recommendations for hypertension prevention: consume a healthy diet (89.4%); reduced salt intake (89.9%); attain or maintain a healthy weight (90.3%); limit alcohol intake (69.4%); be physically active (95.1%); and stop smoking (90.4%). Fifty-six percent of practitioners recommended all six healthy habits. Of note, the probability of recommending all six lifestyle behaviors increased when PCPs engaged in regular physical activity or consumed the recommended amount of produce (five or more cups per day) for four or more days each week—showing that a PCP's own behavior was associated with clinical recommendations to prevent hypertension for their adult patients. About the American Society of Hypertension, Inc. The American Society of Hypertension, Inc. (ASH) is the largest U.S. professional organization of scientific investigators and healthcare professionals committed to eliminating hypertension and its consequences. ASH is dedicated to promoting strategies to prevent hypertension and to improving the care of patients with hypertension and associated disorders. The specific focus of the Society is to translate current research findings on hypertension into effective treatment strategies, in order to better address the needs of hypertensive patients. For more information, please visit www.ash-us.org. [i] Pew Internet Post-Election Survey, November 14 – December 09, 2012. N=2,261 adults ages 18+. Margin of error is +/- 2.3 percentage points. SOURCE American Society of Hypertension, Inc.